• Your account must be at least 4 months old and must have user activity, no activity = no rewards. • We reserve the right to change the conditions of our Ambassador campaign. • If you don't reach minimum amount of posts/retweets/likes/comments in Twitter/Facebook/Reddit, you will not receive any stake for the current week. We will not remove you from campaign, you can try again next week. 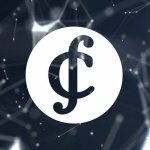 CREDITS is an open blockchain platform with autonomous smart contracts and the internal cryptocurrency. The platform is designed to create services for blockchain systems using self-executing smart contracts and a public data registry. It is now undergoing closed testing pre-release, release scheduled for late June early July 2018. Fill out this form (scroll to form) to participate in the airdrop. No spam is allowed. Inactive users will also be removed and disqualified. This is not Exclusive campaign. Only Airdrop is Exclusive. • Your social account must have at least 10000+ real followers / friends.